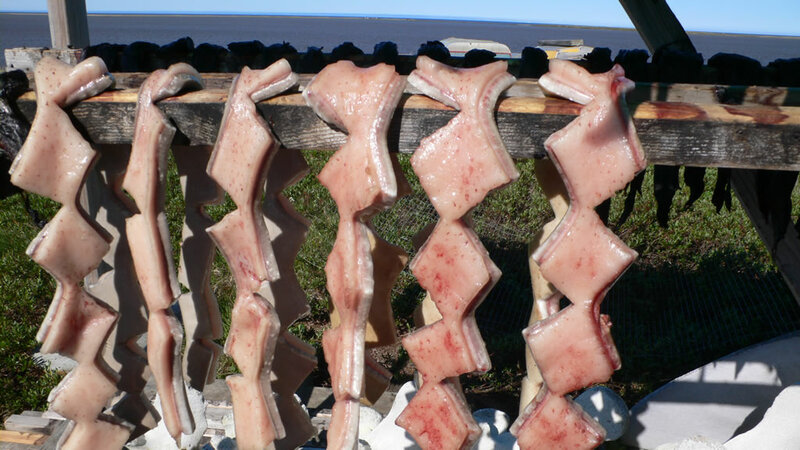 Whale meat is a common source of food for many indigenous Arctic peoples. Contaminants build up in the fat tissue of the animal. To what extent does a changing Arctic affect human health? The EU-funded ArcRisk research project has been able to bring together international researchers to explore the potential health effects that a warming Arctic is having on the health of humans who live in this part of the world. Melting ice and thawing permafrost have the potential to expose humans to a greater number of contaminants. Professor Arja Rautio from the Centre for Arctic Medicine at the University of Oulu, a specialist in human exposure to contaminants, explains the findings of studies conducted under the ArcRisk project (2009-2013) in her interview with SciencePoles. What has your research objective been under the ArcRisk project? The most important objective has been to combine the effects of climate change to contaminant transfer and human health. In many cases, health effects can only be observed after several years of exposure, and some occur later than others, which is why it is important to keep track of the developments and how they might be linked to each other. In the ArcRisk project, we conducted two case studies on Polychlorinated biphenyls (PCBs) and mercury. PCBs are toxic fluids that were used in industry (for instance as coolant fluids for electric motors) for a long time until hey have been banned in the early 1980s. PCBs and mercury are common persistent organic pollutants (POPs) that do not degrade in the environment, but rather remain in both the environment and the human body. Research and information on the health aspects of such pollutants is therefore very important. Where do these contaminants come from, and how do they reach the Arctic? The mercury we find in the Arctic often originates from Asian countries like India and China. Such pollutants are transferred to the Arctic via ocean currents or through the air, depending on the characteristics of the chemical. We’ve observed seasonal variations in the concentrations of chemicals. If contaminants get covered by snow once they get deposited on ice or land, then they eventually become contained or stored in Arctic ice and permafrost. But if the ice melts and the permafrost thaws, then the contaminants will gradually be released back into the biosphere. Contaminants like PCBs, which were banned more than 30 years ago, can still be found in the ice, and they become remobilised when it melts. However the human body has a similar storage mechanism. Toxins become enclosed in human fat tissue, and are only gradually released. ridding one’s body of them is a very long process. Animals like fish and marine mammals contain pollutants like mercury as well. Mercury is passed from the bottom to the top of the food chain through bioaccumulation. Concentrations of the heavy metal increase with each step up in the food chain. Tiny phytoplankton, which are primary producers that live on the surface of the ocean and serve as the basis of the marine food chain, carry a small amount of mercury in their cells. And then these phytoplankton are eaten by small fish, which in turn are eaten by bigger fish, and those by marine mammals, and so on. So when humans, who are at the top of the food chain, consume fish and marine mammals, they get a much larger amount of the toxin in their system than a tiny fish that eats some phytoplankton. What did your research in the ArcRisk project focus on? I was part of the project’s Mother and Child Cohort Study, which focuses on a particularly sensitive group: developing fetuses. A human fetus is extremely vulnerable as it develops in the womb. A number of disabilities and developmental disorders that manifest themselves later on in life come from exposure to toxins during pregnancy. In the ArcRisk study, we collected blood samples to trace contaminants a fetus can be exposed to during gestation. The focus of my work was looking out for perfluorinated compounds (PFOs). These compounds are used in the manufacture of plastics, electronics and textiles. In our placental transfer study, we looked at how these compounds enter the human placenta, as well as their concentrations in both the mother and the fetus in an experiment looking at circulation. The mother can absorb PFOs into her body through food or aerosols, and our study found that PFOs can be passed from mother to fetus. Right now, it’s difficult to determine what effects these compounds will have on a developing fetus. They may affect health in the long term in ways that we are unable to foresee at the moment. Apart from that, on a daily basis we become exposed to very high amounts of various chemicals in our food and environment. This makes it hard to isolate certain chemicals and determine the health impacts they may have. Did all participating research groups in the different circumpolar countries look for the same pollutants? The research groups from different countries each used their own methodologies. This was the case in our research project, which involved our different partners. But if the same kind of study were to be done again, it would be better to harmonise research methodologies, so you could have results you could compare between countries. This would allow us to get a bigger picture, especially regarding which contaminants play a major role from a circumpolar perspective. Apart from the blood samples, we also did a literature review. In order to harmonise research efforts, it is important to see what has already been published on contaminant exposure and health outcomes. This can help to determine guidelines related to the amount of fish or other marine food one should eat. When researchers publish their data, they should always carefully give as detailed information as possible so it can be used for further research and estimation of health risks. There can be many different causes for diseases, and the combination of certain factors can cause specific consequences. This is why research cooperation and the ability to access previous studies is so important to be able to make connections and make progress in the study of human health. What do the findings suggest? Is consuming too much fish and sea mammals a matter of concern? We found that the existing recommended consumption amounts, especially those for pregnant women, are appropriate. In the past, people sometimes didn’t have sufficient information about the potential health risks linked to the consumption of some seal mammals. The information we have today has improved a lot since then, and the safety of the food itself is better. Overall, the consumption of fish is beneficial for the development of the fetus and generally recommended for pregnant women. We now have very good information about which fish is safe to eat and in what quantity. How do you determine which species of fish is more suitable for consumption? This is very difficult to say. It is hard to determine exactly which fish species contain a lot of contaminants. It can vary form species to species. Fish that has a lot of good nutrients can also contain a lot of contaminants if they come from a contaminated region. Toxins accumulate in the fatty tissue, so fatty fish may carry higher risks of contamination. If we start to change our diet and eat more farmed fish because wild catch becomes less available, this could also be a factor. However I don’t know if the farmed fish is better or worse. However, we currently have very accurate and reliable recommendations. Our study didn’t produce new or different recommendations from those already in place. What are the main trends that can be observed? Generally, studies show that the concentration of contaminants and persistent organic pollutants (POPs) has decreased in the past several years after their use was banned. After such a ban goes into effect, it takes some time until the concentration of these substances actually declines. But now, decades later, the first results can be observed. In the human organism, PCB has an elimination half-life of 15 years, meaning that it takes 15 years until its concentrations decline to half of its original level. Nevertheless, climate change has the potential to threaten food and water security because of the contaminants that are released into the biosphere when the ice melts and the permafrost thaws. They can release contaminants and bacteria that became stored in them in the past. An increased number of infectious diseases connected to contaminated water in Russia has already been observed. Researchers are worried that some eradicated infectious bacteria like anthrax may be re-animated as the permafrost melts. The same is valid for other contaminants as well, not just bacteria. Contaminants and toxic metals like mercury settle at the bottom of sediments in places like lakes. Another consequence of warming is the introduction of invasive species into the Arctic ecosystem, which can disrupt the ecological balance. What is needed going forward? In the ArcRisk project, we identified the need for joint monitoring tools. The Arctic Council’s Arctic Monitoring and Assessment Programme (AMAP) has been running successfully for 20 years now. This programme demonstrates how important it is to collect reliable data over the long term. We need this as a baseline against which to compare future developments, and to make viable models and human health estimations in the future. In the course of the ArcRisk project, we’ve developed new models and methods that can be used for studying and monitoring human health and climate change. Each time a new chemical is introduced, its effects on human health need to be carefully examined as well. This is a never ending research endeavour, as new chemicals are being developed all the time. It’s important to determine their characteristics and see what effects they can have, both on the environment and on human health. Arja Rautio is Director of the Center for Arctic Medicine at the Thule Institute in the University of Oulu in Finland. A research professor, she has been working in the field of circumpolar health since 2006. Professor Rautio is also a vice-lead of the PhD graduate program at the Thule Institute, and the International Master’s program of Circumpolar Health and Wellbeing. She is a chair of the University of the Arctic Thematic Network of Health and Wellbeing in the Arctic. Her research focuses are in climate change and human health, social exclusion and indigenous health and wellbeing. 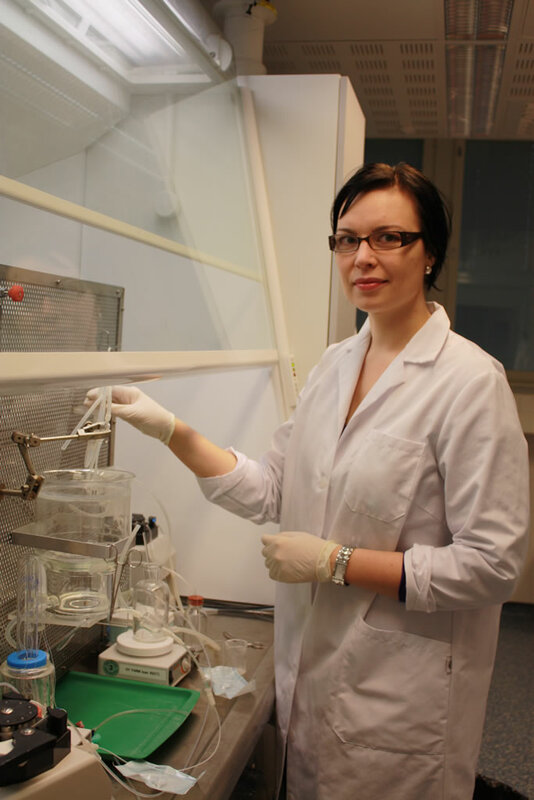 PhD student Maria Kummu working in the lab at the University of Oulu. 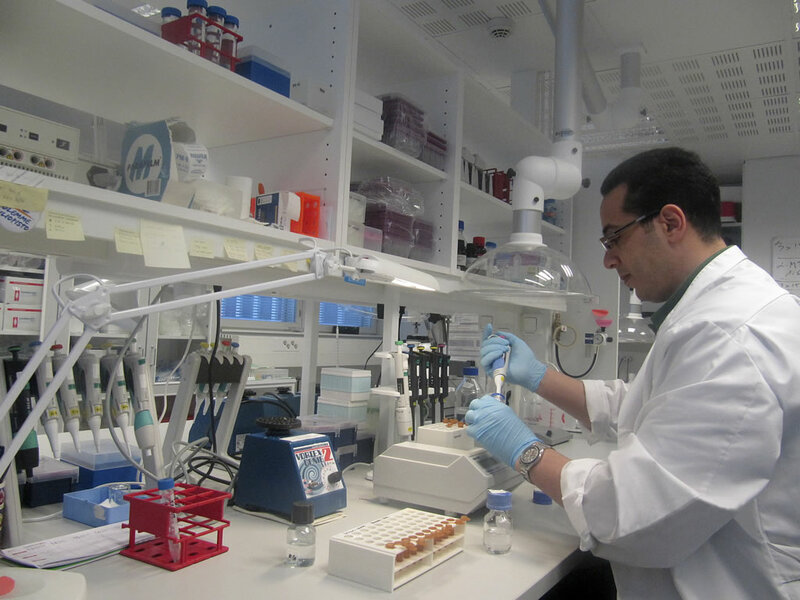 Khaled Abass conducting research on some samples.